I'm thrilled to be featured on Just A Card this week - as part of a three-part collaboration with super blogger anda artist Kate Marsden. 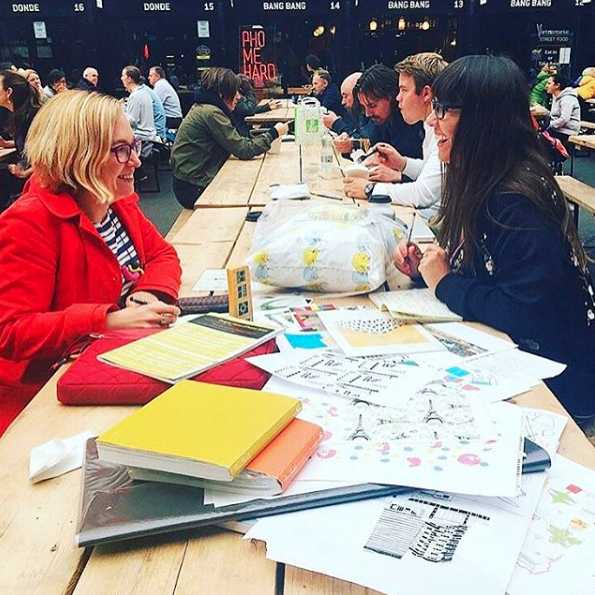 We met up at Box Park in East Croydon for my portfolio review on Kate's work. Read more about our day and the process of having a portfolio review on the Just A Card blog!